Thank you to everyone who's been reading and responding to my list thus far. Since I posted mini-lessons #21-30 so late last night, I am rebounding to post the penultimate ten a little earlier today. Share your good ideas with other teachers. I believe that most teachers work hard to have a positive impact on their students, but don't realize how easy it is to extend your impact far beyond the walls of your classroom. You can create a blog or website, but you don't have to if you just have some things you want to submit. You can also just share with your colleagues (#14) on campus. If your great ideas are applied in some other classroom, then those students just learned from you. Follow the Star Trek: The Next Generation Rule of Vocabulary. Star Trek stories often rely on "Treknobabble", made-up or pseudo-scientific jargon that explains the universe in which the story takes place. In some cases, it's used as a poor substitute for good storytelling. In the classroom, we use jargon every day. Our jargon is a split between content-area vocabulary and "big words" we inadvertently slip into our explanations. In either case, without context and clarification, it all becomes meaningless jargon to our students. The solution is not to stop using advanced vocabulary, but to make sure you always break it down and explain it as simply and directly as possible. On a typical good ST:TNG, "We'll reverse the polarity of the tachyon emitter," is turned into a simple analogy like, "We'll turn the ship into a giant magnet!" In the classroom, "isolate the y variable" can become "move the y to the left side of the equals and everything else to the other". By using advanced vocabulary and explaining it consistently, you'll build your students' vocabulary and understanding. Plus, it makes for a much better story. Find opportunities to work with kids who aren't in any of your classes. Become a coach, club sponsor, tutor or look for opportunities in the community where students like yours live. This will give you a great opportunity to study student culture (#8), but I found it very cathartic to work with my "other students." They always wanted to be there and provided a welcome respite even when my regular classes didn't go well. Most importantly, it gives you the opportunity to extend your positive impact beyond your classroom (see #31 above). Don't be a hypocrite. Be the model, set the example for everything you expect them to do. As I noted in mini-lesson #27, your students will never let you forget the times when you don't do as you say and say as you do. Learn to adjust on the fly. It's good to always plan ahead for the worst case scenario, or merely to have more planned than you think you can accomplish in one class period. However, you will never be prepared for everything. I once had to evacuate my classroom mid-period due to overwhelming paint fumes, so I took my kids to the library and continued an abbreviated version of my lesson (sans overhead, whiteboard, or almost anything else). As long as you keep calm (#3 and #5), you should be able to make the most out of any situation. If you don't know what to do, at least act like you do (#19). Seek at least one good takeaway lesson from every professional development workshop you attend. You won't always be able to choose your own PD (#25), so you need to challenge yourself to find something you can use, no matter how bad a workshop may be. If anything, you can use bad PD as an example of what not to do in your classroom! Don't waste your money on teacher resource books. I am referring specifically to books full of worksheets that claim to be engaging, hands-on, fun, amazing, can't-miss, student-centered, real-life activities. If you need materials for independent practice, you can find it for free online (#18), borrow from colleagues, find them in current / replaced / evaluation copy textbooks your school or district has on hand, or make your own. In my experience, I don't think I've ever come across a worksheet from one of these resources that had everything I needed. I always end up cutting and pasting things from multiple resources while adding in my own, like they used to do for newspaper layouts. Read Teaching With Love and Logic by Jim Fay and David Funk . This is the most important teaching book ever written. It will either change your way of teaching or reaffirm why we do what we do, but you will be moved by this book. I haven't mentioned anything about classroom rules or much about discipline issues in my advice thus far; this book is the reason. Share your amazing experiences with your students. I don't think most teachers appreciate how amazing most of their experiences are, especially for students who might never have left their hometown, had any family members go to college, flown on a plane, or even gone out to dinner at a restaurant that wasn't a fast food joint. Your role as a teacher is not just to teach, but to inspire. Opening up the world to your students, in the form of what you've done and what you've learned, is part and parcel of your job. If you've seen the "Freedom Writers" movie, there's a moment when Ms. Gruwell realizes her students haven't even heard of the Holocaust. She had taken for granted that they obviously already knew about it, and so she realized she had something more to teach than just reading. Incorporate literacy into your classroom. Create a print-rich environment, a classroom where reading materials are readily available and clearly visible in your daily lessons. It is not difficult to find relevant books, free magazines, newspapers, and high interest books outside of your content area. Create a classroom library, even if you're a math teacher like me. Create a bulletin board where you post news articles about your content area. Then, once you have the resources on hand, integrate them into your lesson plans. You can build projects for any content area around magazines and newspapers. If you do enough research, you'll probably find a novel you can read as a class no matter the subject. At the very least, allow students to do reports on books and articles for extra credit or as an alternative assessment when appropriate. Don't think of it as doing someone else's job (if you're not a language arts teacher), because your students' ability to read and think critically is necessary in every subject, especially for those standardized tests everyone is so concerned about! You can read the other 40 lessons here: 1-10, 11-20, 21-30 and 41-50. Constantly reevaluate your methods. In contrast to mini-lesson #10, where I advised you to ask for feedback from your students, you must also put yourself through constant self-evaluation. There is no perfect method, curriculum or set of lesson plans that you can eventually settle into after x number of years teaching the same thing. If you believe this, you will quickly become irrelevant to your students and your profession. The process is rather simple: ask yourself, no matter how good your lesson is, "How can I make this more engaging, meaningful and effective?" Keep your eyes open for applications of your subject in the real world. If you can't see it, how can you expect them to? This will be easy if you follow mini-lessons #8 and #12. You will find inspiration in unexpected places! Use what you find in every aspect of your classroom. Add some relevant (and irrelevant) reading material to your classroom. You don't have to be a reading or writing teacher to have a classroom library. Besides bolstering your classroom culture, it makes it easier to tie literacy into any classroom. This also helps with the previous mini-lesson and the others referenced there. Get out of the classroom once and a while! Take your students to the library, computer lab (#17), the hallway, the stairwell, outside, and wherever else you can within the confines of your campus. You don't need district paperwork or a huge budget to have an interesting field trip. This is helpful for breaking up your classroom routine (#11) once and a while, and because it forces you to think creatively as well. The best part is that it doesn't necessarily have to be related to your particular lesson. Seek out good professional development yourself. Your district probably doesn't know what it's doing. Devoted readers of this blog will know that unspeakably awful professional development is something I have grown accustomed to over the years. Nonetheless, good PD does exist, if you are willing to do the research (#18) to find it. When you speak to students, speak to them at their level. I mean this literally: eye level. Crouch, sit, kneel, lean over slightly, but don't stand over them! Everything you say and do in the classroom is dissected by your students--every nuance and subtlety of your manner is of great import to them. If you don't understand what I'm talking about, try sitting in one of your student desks and having a colleague stand directly over you, giving you directions. See how long it takes you to start feeling uncomfortable, if not a little angry, annoyed or upset as well. Don't break promises. More directly, don't make promises you can't keep. Students never forget, and they'll never let you forget either. If a student recommends a book, read it. You could extend this to other types of media, but I think it holds more true for books because of the unique relationship one can build with a book. Imagine the relationship-building conversations you could have! Similarly, you should try to pay attention to what books are being most widely read, and at the very least get familiar with them. If you're more ambitious, get copies of those books for your classroom library (see #23 above). Go cheer your students on at their sporting events and extracurricular competitions. You should do this even if they don't ask, but unquestionably if they do. One appearance during the season can make all the difference in your relationship with that student. Be sure to follow up and ask about their events whenever possible, especially when you can't get to them in person. Your interest in their lives (#7) goes a long way. Watch School of Rock . I am completely serious when I tell you that, having watched nearly every teaching-related film or television show available, this is the most important film about teaching ever. You can read the other 40 lessons here: 1-10, 11-20, 31-40 and 41-50. Yesterday I started revealing a list of 50 Cheap Mini-Lessons for Teachers. I'm by no means the first person to say most (if not all) of these things, but they bare repeating. You might not agree with everything on these lists, but I hope that you'll find something useful to help you in preparation for the fall semester. Create a basic routine, a set of procedures and standard classroom organization, for students to follow. It makes most kids feel more comfortable when they know what to do when they come to class and where everything is. It also gives the students more responsibility; after you've modeled everything at the beginning of the year, they should be able to function on their own (or through the help of fellow students). Best of all, it makes the occasions when you break from the routine more memorable (and meaningful). Make everything you do relevant from their perspective. You can do this through entire lessons (i.e. my Math in the Real World project), or just through a clear, concise explanation during class. "We're doing this because..." or "This is important because..." takes a second, and reminds students that you're always working for their benefit. You might have to explain why you're reading or writing in a non-ELA classroom, or why you require students to keep an interactive student notebook. Whether you're preparing them for a standardized test, next year's course, college, or real life, you have to tell your students this. Answer as many of your students' questions as possible (maybe even all of them). At the very least, never dismiss them outright or talk down to them when answering. This is a trust building experiment for most students, trying to gauge if you listen to them and respect them, and figuring out whether you're human or some curriculum-regurgitation machine. Admittedly, some students will try to hijack a class with an off-topic question, but there's no harm in saying you'll be happy to answer it later. There are no stupid questions--only stupid teachers who don't know how to use them to their advantage. Collaborate with colleagues. Brainstorm over discipline and curricular issues, plan interdisciplinary units, and create a mutually supportive network. If you can't find those kind of colleagues at your campus, reach out to like-minded people online (and at least consider finding another campus). Observe teachers from a variety of grade levels and content areas as often as possible. This is beneficial whether you're following a recommendation about a teacher who does something particularly well, or if you go in cold and find some things not to do. Learn how to separate a good idea from its curricular context, and then apply it to address your needs. 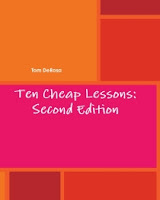 This is what I tried to do with the ideas in my book, Ten Cheap Lessons. Don't overuse any good idea. If you find something that really works, you need to use it sparingly or risk making it boring and predictable. This goes for things like games, lesson strategies/activities, or a particular project or alternative assessment. As mentioned in #11, you want your breaks from the norm to be special, so don't drive your good ideas into the ground. Use technology. You don't have to have a big budget or wire every inch of your room to incorporate technology effectively in your classroom. LCD projectors, classroom response systems, calculators, and of course Internet-based research and projects are widely available. This a part of #12, but it's part of something much bigger. Our students are more tech-savvy than ever, but they also have a lot to learn to be ready for future education and careers. It's not just something to make things interesting, it is as essential as literacy is to any content area. Learn how to find lesson plans, ideas to build upon, and inspiration to keep going online. There still is no comprehensive Web portal for teachers--not even a half-decent search engine for lesson plans. Nevertheless, there are almost limitless free resources available for teachers, if you are willing to invest the time to search for it. If you're reading this, you're on the right track. Visit the sites in my blogroll, and keep going from there. Bookmark the good ones, or learn about RSS and RSS readers to keep better track of them. One great place to start is Larry Ferlazzo's Websites of the Day. Act like you know exactly what you're doing (even when you don't). Your responses to even the most unexpected situations teach your students more than you can imagine. Exhaust every possibility when trying to succeed with a "problem" student. Items #14 and #15 above will help you learn about solutions beyond phone calls to parents or sending them out of the classroom. You'll either find a solution or make it hard for even the most useless administrator to avoid intervening. One mini-mini-lesson: don't underestimate the power of simply talking to students about what the problem might be (just remember mini-lesson #3 while you're doing so). You can read the other 40 lessons here: 1-10, 21-30, 31-40 and 41-50. As summer school came to an end last week, I got the sudden inspiration to share the collected wisdom of my teaching career thus far. These are the things I tell colleagues when they ask for advice, the things I would want to impart to new teachers just starting out. These mini-lessons have to do with you, your students, your curriculum and your classroom. They're not arranged in any particular order. I specifically set out to just let the ideas flow from the central question, "What is the most important advice I can give to other teachers?" Recognize your best students regularly (i.e. name a student of the week or month). There doesn't need to be any tangible prize associated with this honor, but students who have stood out or improved significantly need to be recognized. I had a bulletin board where I recognized a Student of the Week for each class period. 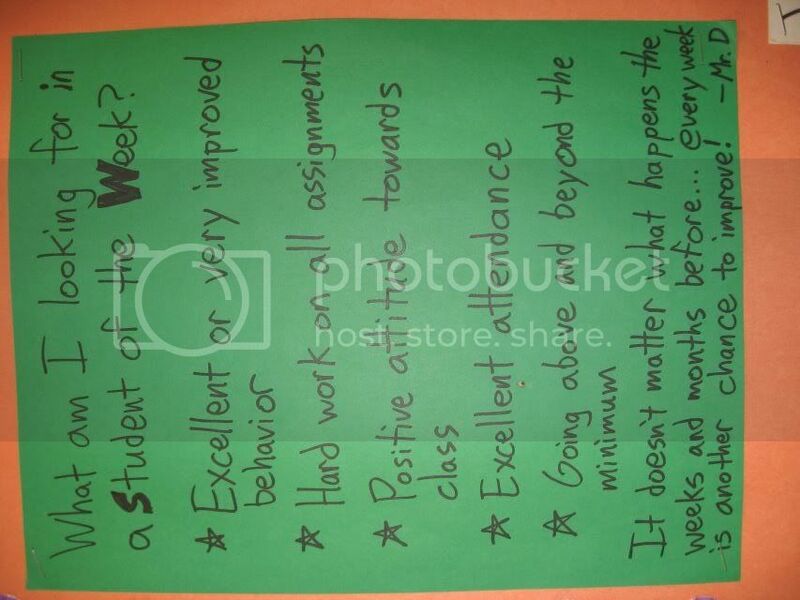 The important thing was commending improvements in both academics and behavior; students could get the honor even if they had been in trouble the week before. For every "negative" phone call home, make a positive one. This may seem daunting, especially if you need to make a lot of discipline-related calls, but it's worth every extra minute of work. You'll feel better by maintaining a more balanced perspective of your classroom culture. Your students will also appreciate your positive spin--even the students getting in trouble will understand the type of culture you're trying to build. Don't lose your temper. I almost lost my job in this way, and more importantly, I almost lost the respect of my students. It never solves any problems, it only exacerbates them. Keep your cool and deal with everything as an objective, benevolent leader. Get more (and better) sleep. Research says that for most of us, lack of sleep or disrupted sleep leads to all sorts of health problems, but the immediate problem is that it messes with your brain function and your behavior. Your effectiveness in the classroom depends on your being awake, alert, calm and focused. The same is true for your students, which is why you might want to teach them about it. Reduce your stress (by any means necessary)! Following #2 and #4 will help, but this needs to be a goal in and of itself. Being stressed affects your health, and in turn your effectiveness with your students. I recommend taking a mental health day once and a while, but there are plenty of other options for stress relief. Teach your students how to study. This goes for just about any grade level--these skills don't get taught explicitly as often as you might imagine. So you need to show them how to study on their own by making flash cards, encouraging them to form study groups, and pointing them to resources they can use on their own. In addition, you need to model it in your classroom, by building studying (creating study guides, playing review games) into your lesson plans. Ask your students questions about their lives outside of your classroom. This is one of the keys to building a positive classroom culture. The simple act of noticing and asking, not merely faining interest but really trying to connect with them, goes a long way. It could be their open, unbridled enthusiasm about some topic that you ask about, or maybe you just wonder out loud if they're having a bad day. Some students will talk your ear off, others will bristle at your seeming intrusion. Don't push, but make it clear that you care, you're interested, and are willing to listen. Keep up with pop-culture and "teen" culture. Even if your students are in elementary school, they're still interested in the same things as their older counterparts. Part of making your content and presentation more relevant, meaningful and memorable to your students is making connections to all of the various forms of media they're most interested in. Build it into everything you do. Don't be afraid to make a fool of yourself. They'll never forget it, and if you do it right, they'll never forget the point of the lesson either. Ask for feedback often, both from your students and from colleagues. You can only get better if you constantly reflect on every aspect of your classroom. Take as many opportunities as necessary to ask what's working, what's not working, and for suggestions how to make it better. Keep doing it until you're reaching all the ambitious goals you've set for your classroom. You can read the other 40 lessons here: 11-20, 21-30, 31-40 and 41-50. If you read my last post, about my final week of summer school, you might have noticed that we didn't get a whole lot done over the course of the week. I briefly mentioned some "complications" that made my straightforward plans into a fiasco. I am writing about these separately from my recap of the week that was, both to help me sort out my thoughts on the course and serve as a guide to other teachers who may want to do something similar. The first problem was that on Tuesday and Thursday, Mystudiyo was working only sporadically or not at all for several hours both days. Even when it was working, a major user interface flaw made sure that more than one student lost all of their work from Friday and Monday: if you don't type in something in the "question" field, everything else you type is lost when you click "Submit Question". Since most students were writing long word problems, they used the optional, supplemental text box instead. No one, myself included, knew what was going on until it was too late, because there is no error message to alert students that the questions weren't saved! On most websites, when you fail to fill in a form correctly, you are immediately brought back to the form and alerted as to what you failed to fill out correctly (believe me, my students are now well aware of that truth). In addition, students started to forget usernames and passwords. Some had forgotten even the email addresses we had created back in the first week. I spent entire periods walking students through the "Forgot Password?" process on Synthasite, MyStudiyo, and their email accounts. Of course, the fact that the websites were buggy or not functioning didn't help matters. There was one last problem, one that made sure nothing would go to plan last week, and that was poor attendance. Almost every student missed at least one day last week, compounding the above problems. As a result, I pushed the individualized math problems to the bottom of the agenda, and didn't hold it against students if they didn't have the time to get to them. I suppose I lowered my standards and perhaps that's why I feel so guilty. I didn't anticipate or plan for any of this--indeed, if for some reason we weren't able to get online at all, I wouldn't have been ready. I am happy with the websites that the students produced, but I'm nonetheless disappointed in myself and wondering whether my course was a failure in both design and execution. I can't remember any student telling me at the end of the year that they didn't understand the way I taught. That's arguably the most important skill I bring to the table: the ability to break down concepts in a way students can relate to and understand. The fact that this very bright student feels they were let down is extremely troubling. Know exactly what you want them to do. Figure out what online resources they'll use well ahead of time, decide what the final website should include, and provide clear, concise steps for them to follow. You can do this either by publishing it online, as I did with my class blog, or by providing printed directions and rubrics. Tie in your subject matter from the beginning. You could easily build a web design course where students make a site about whatever they want, but there's so much potential for long term learning if they create a thorough subject-area resource that can be used in class. I waited too long to refocus on math, and my students suffered. Differentiate. This might mean that every student works on a different topic but follows the same basic outline for their website. It might also mean that the website can be one option from a list of possible products for a end-of-unit, semester or year project. As much as students should have some scaffolding to follow, you must allow some flexibility within the structure to let student creativity and brilliance shine through. For example, I required at least one video on their website, but gave students the option of finding an appropriate video online or creating one themselves. Don't get sidetracked. There's no shortage of great web resources that students could use to create amazing content for their websites, but there's only so much time available for any such project. I spent days having students play around with Dvolver Moviemaker, Bubblr!, Make Believe Comix and Sketchcast; meanwhile, they couldn't navigate their new email accounts or the sites that we actually did use on our websites. Decide what kind of creative content would be most appropriate and meaningful for your goals and spend most of your time on those. Plan for worst case scenario. Be prepared for Internet outages and non-functional computers. There should be a strong "offline" component for any project like this. Also, remembering multiple usernames and passwords is difficult, so you must decide if that is absolutely necessary for your purposes. In my case, I wanted to use multiple websites that required registration, so having permanent email accounts was necessary. Based on the nature of your prospective project, you might choose disposable email or a teacher-controlled system. If you have designed or plan to design a course like this, I'd like to share your insights as well. Please email me (teachforeverATgmailDOTcom) or leave a comment. Thanks! Today was the last day of our Summer Academy, and this week I tried to reconcile the math and website design facets of my course. As I mentioned last week, I wanted tie more actual math problems into the class into the limited time we had left. Things didn't go exactly as I had hoped, but I'm happy with the results and I think the permanence of this project will have positive effects far into the future. 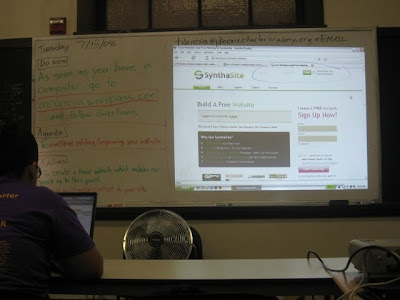 On Monday, students tried to complete their Mystudiyo-built quizzes, which were then easily embedded into their websites (hosted at Synthasite). I also put together and distributed packets of 10-15 problems drawn from Barron's MCAS in Math that were individualized for their respective topics. I urged them to use their websites and the skills they had been practicing to find additional online resources to help them. Then on Tuesday, students were still trying to complete their quizzes, although there were some complications that I'll talk about in a future article. Only a handful of students got the chance to jump into their math packets at all. We visited Northeastern University on Wednesday. For many, this was the first exposure to the concept of college as a possible future, not to mention their first visit to a college campus. Our school is young but committed to building a stronger culture of achievement and success, and this is a great building block to that end. When we returned to campus on Thursday, students were given this Final Presentation rubric, which contains a website checklist and the questions I would be asking during their presentations on Friday. I also made sure to clarify how to not only save but publish their websites, so I created the slideshow below using screen caps (edited with IfranView) and Photobucket. It should be helpful for any teachers trying to use Synthasite with their students. The sites marked with stars (***) are the best of the bunch IMHO. Jonathan's site and Maira's site were special achievements because both are ELL and were thoroughly committed to improving their English language skills. Overall I think this experiment was a tremendous success, and it has given me a lot of ideas and inspiration for the coming school year. Coming this weekend: End of summer student survey results and my reflections on best practices and pitfalls to avoid. I found a copy of The Poor Scholar's Soliloquy when I was looking through my papers from college last weekend. This story, well known in schools of education, was given to me in a class called Computers and Education to spark a discussion. No, I'm not very good in school. 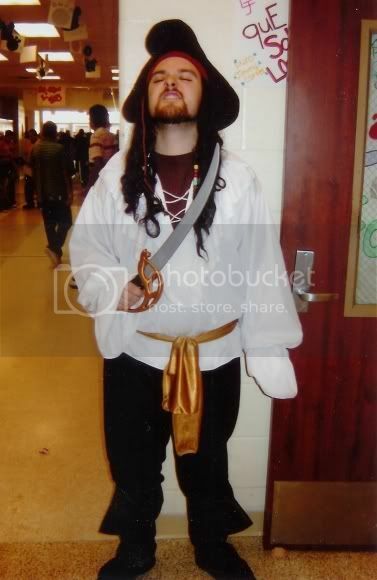 This is my second year in the seventh grade, and I'm bigger and taller than the other kids. They like me all right, though, even if I don't say much in the classroom, because outside I can tell them how to do a lot of things. They tag me around and that sort of makes up for what goes on in school. I don't know why the teachers don't like me. They never have very much. Seems like they don't think you know anything unless you can name the books it comes out of. I've got a lot of books in my room at home-books like Popular Science Mechanical Encyclopedia, and the Sears & Wards catalogues--but I don't sit down and read them like they make us do in school. I use my books when I want to find something out, like whenever mom buys anything second-hand I look it up in Sears or Wards first and tell her if she's getting stung or not. I can use the index in a hurry. In school, though, we've got to learn whatever is in the book and I just can't memorize the stuff. Last year I stayed after school every night for two weeks trying to learn the names of the presidents. Of course, I knew some of them--like Washington and Jefferson and Lincoln, but there must have been thirty altogether, and I never did get them straight. I'm not too sorry though, because the kids who learned the presidents had to turn right around and learn all the vice-presidents. I am taking the seventh grade over, but our teacher this year isn't so interested in the names of the presidents. She has us trying to learn the names of all the great American inventors. I guess I just can't remember the names in history. Anyway, this year I've been trying to learn about trucks because my uncle owns three, and he says I can drive one when I'm sixteen. I already know the horsepower and number of forward and backward speeds of twenty-six American trucks, some of them Diesels, and I can spot each make a long way off. It's funny how that Diesel works. I started to tell my teacher about it last Wednesday in science class when the pump we were using to make a vacuum in a bell jar got hot, but she, didn't see what a Diesel engine had to do with our experiment on air pressure, so I just kept still. The kids seemed interested though. I took four of them around to my uncle's garage after school, and we saw the mechanic, Gus, tear a big truck Diesel down. Boy does he know his stuff! I'm not very good in geography either. They call it economic geography this year. We've been studying the imports and exports of Chile all week, but I couldn't tell what they are. Maybe the reason is I had to miss school yesterday because my uncle took me and his big truck down and we brought almost 10 tons of livestock to the Chicago market. He had told me where we were going, and I had to figure out the highways to take and also the mileage. He didn't do anything but drive and turn where I told him to, Was that fun. I sat with a map in my lap, and told him to turn south, or southeast, or some other direction. We made seven stops, and drove over 500 miles round trip. I'm figuring now what his oil cost, and also the wear and tear on the truck--he calls it depreciation--so we'll know how much we made. I even write out all the bills and send letters to the farmers about what their pigs and beef cattle brought at the stockyards. I only made three mistakes in 17 letters last time, my aunt said, all commas. She's been through high school and reads them over. I wish I could write school themes that way. The last one I had to write was on, "What a Daffodil Thinks of Spring," and I just couldn't get going. If a 57 foot telephone pole falls across a cement highway so that 17 3/6 feet extended from one side and 14 9/17 feet from the other how wide is the highway? That seemed to me like an awfully silly way to get the width of a highway. I didn't even try to answer it because it didn't say whether the pole had fallen straight across or not. Even in shop I don't get very good grades. All of us kids made a broom holder and bookend this term, and mine were sloppy. I just couldn't get interested. Mom doesn't use a broom anymore with her vacuum cleaner, and all our books are in a bookcase with glass doors in the living room. Anyway, I wanted to make an end gate for my uncle's trailer, but the shop teacher said that meant using metal and wood both, and I'd have to learn how to work with wood first. I didn't see why, but I kept still and made a tie rack at school and the tail gate after school at my uncle's garage. He said I saved him ten dollars. Civics is hard for me, too. I've been staying after school trying to learn the "Articles of Confederation" for almost a week, because the teacher said we couldn't be a good citizen unless we did. I really tried, though, because I want to be a good citizen. I did hate to stay after school because a bunch of boys from the south end of town have been cleaning up the old lot across from Taylor's Machine Shop to make a playground out of it for the little kids from the Methodist home. I made the jungle gym from old pipe. We raised enough money collecting scrap this month to build a wire fence clear around the lot. Dad says I can quit school when I am sixteen, and I am sort of anxious because there are a lot of things I want to learn--and as my uncle says, I'm not getting any younger. If you were a teacher observing this boy in the situation and had a chance to read his "soliloquy," what would you say is his main problem? Why do you think teachers don't like this boy? If you were his teacher, would you like him? Does this boy seem to be mentally slow or deficient? Why do you think this boy's uncle likes to have him work with him? This boy's family thinks he should quit school when he turns 15. Do you think he should? This piece was written in 1944. Is the situation the boy describes still typical of American education? I hope this is at least as useful as the other professional development you've attended so far this summer! I recently received an email from Texas Instruments letting me know that they will no longer be developing lesson plans and materials for the We All Use Math Every Day program. WAUMED is based around the hit CBS series Numb3rs, which for the uninitiated is a crime procedural where math (often very advanced math) is used to help catch the bad guys. Luckily, the WAUMED website will remain online as a free, easy-access archive of all of the previously developed materials. From my perspective, most of the math used on the show is relevant for Geometry, Statistics, Algebra II and beyond. I didn't find a lot of topics directly relevant to my Algebra I course, but that all depends on your particular state standards. Sometimes the math is central to an episode's plot--either the criminals are using math to facilitate their scheme, or Charlie (the resident math genius) uses it to track them down. Other times, a mathematical concept mentioned only sparingly and the rest of the episode resorts to well-worn genre clichés and plot devices. Thus I recommend showing short, relevant clips of episodes where the specific math concept is explained, avoiding entire episodes except for special occasions. As Charlie breaks down advanced concepts for his FBI cohorts on the show, he explains them in a way anyone can understand. It reminds me of how characters on Star Trek: The Next Generation would always explain sci-fi jargon to each other using simple analogies ("It would be like turning the Enterprise into a giant magnet!"). Whether or not you follow up with the WAUMED-provided lesson plans, even a sub-5 minute clip will help engage your students and explain the main idea of your lesson in a memorable and meaningful way. For example, last year I used the season 1 episode "Identity Crisis" to illustrate exponential functions and growth. Early in the episode, Charlie explains a pyramid scheme and uses paper folding to visually demonstrate the progression to his colleagues. I didn't use the accompanying TI lesson plan, but I repeated the paper folding example from the episode as part of my own lesson. When it comes to using films and video in class, I would usually recommend that teachers stick to renting or borrowing DVDs to keep their out-of-pocket costs down. That being said, I think most secondary math teachers should own this series on DVD, because it's that valuable to have on hand when you need it. This is the closest thing I have to a smart board. When I envisioned this course, I wanted to create a math course that would engage my students by approaching it in a way that they had never experienced. I debated over how "technical" the course would be, but I decided that ultimately the "website design" part of the course was merely a means to an end. Thus this is a project-based math class with a unique (for them) spin on it. If I was teaching this course as a half-year or year-long course, students would certainly start their websites from scratch. This week we experimented with a few new websites and made significant progress. On Tuesday, we worked on finding and including video into their websites. Due to the nature of Synthasite's interface, the process for embedding YouTube or Google videos is a bit counter-intuitive: these sites have built-in embedding code, but it's the regular URL that must be copied into Synthasite's widget to be embedded. When you drag-and-drop a video widget on to your site, Synthasite by default has already put some other video there, which is already confusing for students. You have to click "Edit" and change the video URL. Some students mistakenly copied the embed code and ran into problems, but most did figure it out. There was also a minor bug in this process. Sometimes after completing the cumbersome video-adding process correctly, the video would not appear without saving and then refreshing the page. I figured out the fix, but I would imagine many other users wouldn't be able to. I hope Synthasite people continue to read this blog, because I couldn't find an appropriate email address for bug reporting (when this site clearly still has bugs to work out). Another slight annoyance was with adding images. If you add an "Image" widget to your page, a "Choose Image" box appears, but all images must be uploaded. There is no option to insert an image from a URL. This could be done via an HTML box, but if this site is really "The Quick & Easy Website Builder that Requires NO Technical Skills" as it claims on its homepage, then this needs to be addressed. Wednesday was a day-long field trip to the Blue Hills Reservation in Milton, MA. I took a few pictures, created a slideshow using ShowBeyond (recommended by LFWD) and incorporated it into the Do Now for Thursday. I asked my students to consider using it on their websites, but didn't see a need to make it a requirement. Throughout the week I was wondering if I was straying too far from the math part of Math & Website Design. I spoke with my administrators who had done observations, and hatched some ideas to tie more math practice in each student's individualized projects for our last week of summer school. I scrapped my original plans (using VoiceThread and creating more media for inclusion on their websites) for Friday and refocused on my original goals. I expected some moaning and groaning, but everyone worked diligently, despite record heat and inadequate cooling in the building. Monday: Each student will be getting a packet of work on the topic they've been working on. They can use their websites and any other online resources to help them. They'll also complete their quizzes from Friday and I'll model how to embed them into their website. Tuesday: Finish up work packets. Thursday: Students will get a final checklist and graphic organizer to be sure they have everything required on their website and to help them prepare a presentation for the last day of classes on Friday. They'll also get their corrected work packets back and will correct them. Friday: Students will present their websites (using my not-so-smartboard) and complete an online end of course survey (I'll use PollDaddy as I did throughout Week 1). After seeing some of the videos my students have found, I would love to do a course of making math videos. It would be a similarly project-based math class, and would involve a lot of technology integration, but I can't imagine any student being bored with that kind of class. I've also always wanted to do a math & photography project, where students would take pictures of geometric shapes (for example) they found in everyday things and places. I'd be excited to see the creativity involved, and doing this course has inspired me to follow through on that thought for this coming school year. I'll share links to student websites next week. You can see what we're doing in more detail on Mr. D's Math & Website Design Class Blog. Watch my Math & Website Design course unfold as it happens! This week was the first of a short, three week course I am teaching at my new Boston-area school this summer. The course is entitled Math & Website Design, and I have students of all different HS grades and levels of math ability and computer literacy. Our time frame is short and so I designed the class to be very simple and straightforward, with plenty of room for differentiation. By the end of the course, each student (or pair of students) will create a website that explains one specific math area they need to improve upon. Their content should be easy to understand, interesting (to themselves and others) and preferably fun. Introduction to the course and diagnostic tests (selected questions from the 2008 MCAS retest). Students logged into the class blog, completed a student survey (created using PollDaddy) and created a permanent email address for class use. I wanted it to be permanent so that I could correspond with them, they could sign up for multiple services if needed for the project, and so they would have one for future use. I told them to use Yahoo! or Google, and the only problems were their desired usernames already being taken and difficulty with the captcha. Originally, I wanted the class blog to be a group blog, where each student would post what they learned at the end of each period. This proved to be a bit difficult: my directions were vague, and the whole email business took too long, so most didn't get to create a Wordpress account at all. So I am using the class blog to post the daily agenda and links for the day, and students are emailing me when I need that kind of check for understanding. I also included four online math games, some of which I've written about before and others that were found via Larry Ferlazzo's website. These were to inject some fun into the proceedings when they finished everything else. After another Do Now question (again using PollDaddy), students began research and planning of their site. I met with them one-on-one about what their topics could be (I gave them options based on their diagnostic results). Then they had to gather 10 quality links about their topic. This took the majority of the period, as some students had to catch up with Wednesday's work and they actually had to read through each link and decide whether it was good or not. Good meant that it followed the guidelines stated up front: easy to understand, simple to use, preferably fun. I also asked students to experiment with Dvolver Moviemaker (from Larry Ferlazzo's list The Best Ways for Students to Create Online Animations), as I think they will be able to use it creatively in bringing their website to life. I told them to play around with it, figure out how it works, and show me whatever they came up with. They really enjoyed it, and no one had any problems using it at all. Bubblr! - Search images via Flickr, then add speech bubbles with their own text. It can be a single frame or a series of images. Make Believe Comix - Make your own comic strips quickly and easily. Monday: Sign up for web host, learn how to post topics, 10 links, etc to site. Tuesday: Learn how to change the layout, color scheme, and background. Each day I will provide another link (probably almost all of them from Larry's site) where they can create content to help bring their pages to life, as well as meet with them one-on-one to discuss how they're going to "teach" their topic. I may change the schedule up a bit--some dislike the math part, others the computer part, and I need to make things as engaging and challenging as possible for everybody. This has been a whole new experience for me, as I've never completely integrated technology into a course before. Larry Ferlazzo's Websites of the Day has been absolutely indispensable in learning how to do this kind of course--I've literally been reading all of his "Best Of" series for ideas, as well as going back through daily posts I had been saving through Google Reader. I still haven't decided which site to use as our web host. I may use Google Pages or Yahoo! Geocities. Has anyone tried Weebly? My guidelines are the same as the ones Larry uses for many of his "best" resources: free, easy to use, with lots of ways to create engaging content. Please leave a comment if you have any ideas or recommendations (for this or any other part of the course). As my girlfriend tuned in to watch America's Best Dance Crew, MTV's iteration of the reality show/dance competition genre, I remembered that this show was one of the most popular among my 9th grade students last year. I think we all try to keep up with pop culture as we struggle to deliver our content in a way that will relate to our students, and so my next thought was, what are teenagers watching these days? I don't know how many of them were caught up in the High School Musical phenomenon, but I imagine many were. I think very few were obsessed with any reality shows beyond those mentioned, even American Idol or The Hills (if you believe the latter is truly "real"). Occasionally students would mention something interesting they saw on the Discovery Channel or History Channel, which always brought a smile to my face. I don't know if these observations are completely valid, or if they are similar to what teenagers are watching in other places. I'm curious to know what others (not only teachers) have observed. Please send in your feedback and let everyone know what you know! Teacher Suspended for Using "Freedom Writers Diary"
I taught Algebra last year, but during our advisory/reading period, we read this book. I didn't even take the precautionary step of sending home a permission slip as this teacher had! At first, even my students were taken aback by the direct, uncensored language. There were some snickers and laughs, but I told them quite plainly that this book contained some language that might be considered inappropriate, and that I expected them to act like young adults. If they couldn't handle it, we wouldn't read it. That stopped all of the problems right there, and we were able to read the entire book without incident. The "inappropriate" language tapers off quickly. This is one of the most inspirational and important books they've ever read. My students, all of whom came from a low-income community and faced the same kinds of challenges (as I've already written about this week, twice), were sincerely moved by the book. Many even asked if we could replicate the Freedom Writers book project, even though we weren't in an English class! All of these students were reluctant readers, but they were full engrossed in this wonderful book. They begged to see the movie version, which we watched after our standardized testing was over. I wholeheartedly recommend this book to any teacher that wants to truly engage their students. Connie Heermann, the teacher who was suspended, is a hero in my book. She said she will not return to the classroom unless she's allowed to use the book. I admire her for standing by her principles, and fighting for the benefit of her students. You can read some interesting local reactions to this situation in this post at the Advance Indiana blog. After teaching math to expelled fifth through 12th graders and working with Teach for America, DeRosa can plan a lesson on a penny. One idea: use the traditional science lab format to investigate math problems. DeRosa's creative classroom plans show an understanding of high school students and a passion for teaching. Though the lessons focus on algebra, they can be adapted to just about any subject. 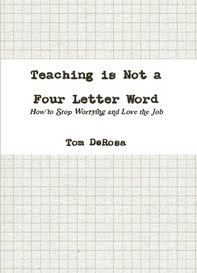 DeRosa teaches ninth-grade algebra and co-chairs the mathematics department at a high school in Texas. 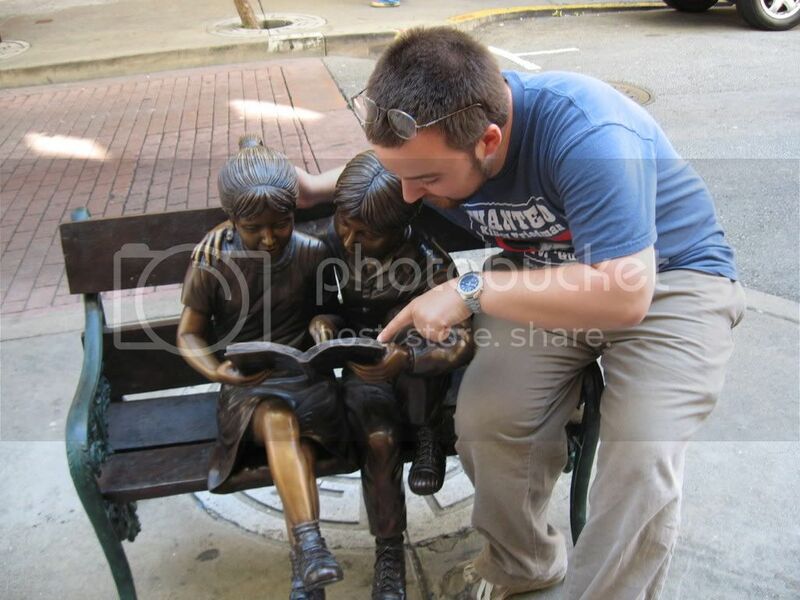 He also shares his ideas and experiences in his teaching blog I Want to Teach Forever (teachforever.com). I submitted this information a while ago, and I'll now be teaching math at a charter high school here in the Boston area. My book is available as a paperback or digital edition ($12/$6!) direct from the publisher, at Amazon (including a Kindle Edition! ), Barnes & Noble and other online booksellers. 5. Turn Graphing Linear Equations into a Game: Games are a great way to engage students, and this was one of many. Basically, students match linear equations and their graphs without a calculator, honing their skills at applying slope and y-intercept. Like the ideas in my book, it's simple, cheap and works wonders. 4. Graph BINGO Review Game: I had more fun with this in class and during Saturday academies than anything else I can remember. Bingo is the game, but the card is made up of various types of graphs (linear, non-linear, scatter plots, etc). The call sheet describes the graphs (i.e. "the linear parent function" or "Mr. D drives to school, stays there for a little while, then drives home [distance vs. time]"). 3. Lesson Idea: Hands-On Volume and Surface Area: Here's another topic my students have continually struggled with, but I think we made some great progress this year using a lot of modeling, measuring and using hands-on 3D objects. We followed this lesson up with a major project where students applied the skills we had modeled in class (see Project Idea: Measurement, Volume and Surface Area). 2. 165th Carnival of Education (Testing Season Edition): During the first week of April I had the opportunity to host the Carnival of Education, which brought visitors from a number of excellent edublogs here to I Want to Teach Forever. I organized the links around the topics I write about most often, and I think it all came together pretty well. The vast majority of the links are still a great read and haven't lost their significance. In fact, it may be a good excuse to go back and reflect on your progress since then. 1. Lesson Idea: Probability Using Deal or No Deal: By far this has been the most popular and inspired the most emails and comments. Based on the hit NBC game show, I turned a card game version into a game-based lesson on probability. It's fun, it's easy to do, and it will work with almost any grade level studying this commonly tested topic. If you've only recently discovered my website, you might want to check out the Best of 2007, which is a good a place as any to start.